I BOW I BOW I BOW I KNEEEEEL to the master with such PS skills. Or should I say Song Hye Kyo and Kim Woobie for their ability to look good with anyone everyone in any picture. 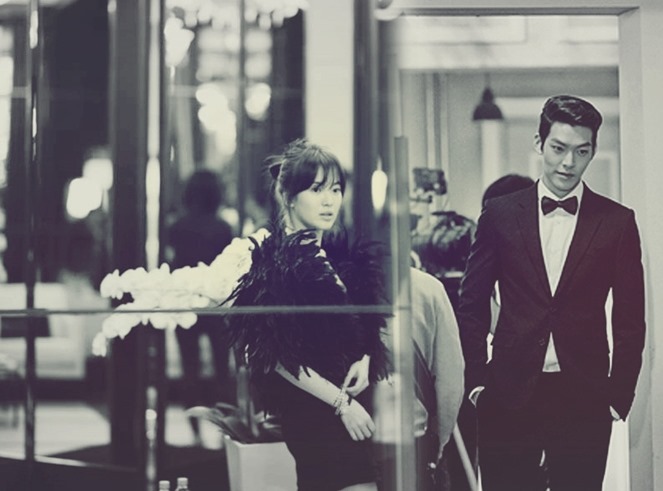 It’s fan made, but just lookin’ don’t you want a Korean version of The Bodyguard already? Lee Bum Soo for SURE! 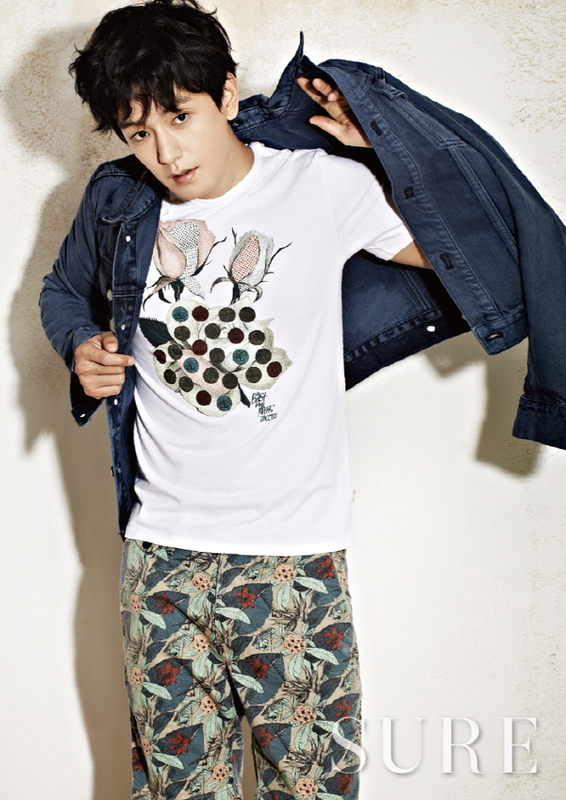 Every time I see Im Joo Hwan, I think Park Kyu. Every time someone mentions his name, I think Park Kyu. I get flashbacks memories of all the wonderful things that came out of Tamra, The Island. I think he’s never gonna break away from that tag/label, ever EVER. One of the most memorable and impressionable characters to ever grace TV. I don’t think I can ever forget. How awesome, how awesome it would be to have siblings like the trio above? I’m not saying just because they’re all fantastic actors in their own accord and can totally hold a show or drama with their charisma and charisma alone, but also because, have you seen the Aging Cast trailer? Yeah, just because they’re awesome. Yoon Je Moon‘s totally riding on high lately with the fantastic and sublime The End of The World and I’m glad he’s getting a lot more and deserved exposure with it. Park Hae Il and Gong Hyo Jin, would have loved it even more if they’d been cast as lovers because you don’t just put 2 great actors together and not have them ogle swoon at the sight of each other ;P. But I guess you don’t get to have it all, suppose a So Ji Sub and Gong Hyo Jin pairing (in upcoming Hong Sis project) would suffice for now. This has to be my favourite LDH photo mag spread EVER, as in EVER. She dons a pixie cut, is clad in weird black and white, and looks the most bold and bodacious out-of-comfort zone I’ve ever seen from her. One of them in particular, is so uncomfortable and somewhat sickening to look at you almost want to turn away at first glance. But to me, it only reinforces one thing – that she is definitely trying new things. With IRIS 2 and her recent INSTYLE spreads, it’s become more and more apparent that she wants to break out of her safe zone, and is trying to step out further away from her prim pretty image she’s been stuck with for years. I can hope that this venture or thought of hers will extend further, into her career choices and considerations in particular. If you want to try something new girl, I hope you will pick a credible writer director or even a role that doesn’t just tap on the surface. We all know what I’m talking about. I can take anything you know, even if role requires you do something like what you’re doing below. LOVE LOVE LOVE this so freaking much! 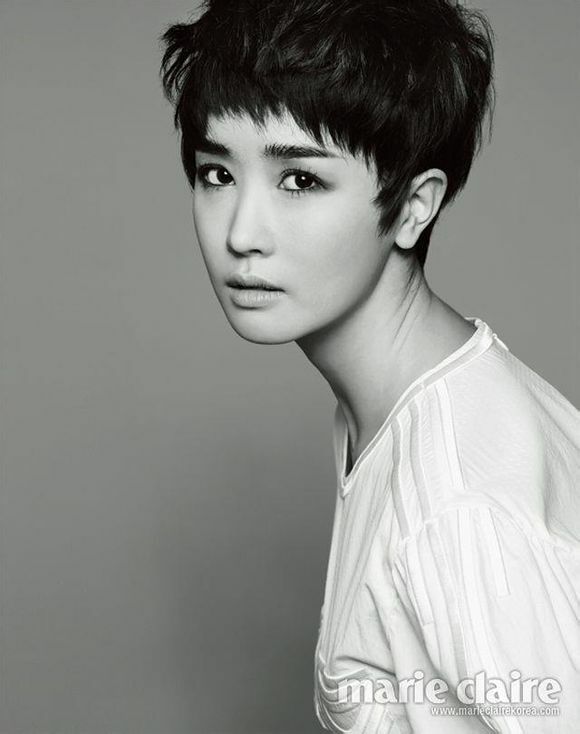 I know instant reactions from most ppl would be, what happened to LDH’s face WHY ISN’T SHE Yoo Rin from MG anymore?! Sometimes I get overly fed up with such repetitive comments (cos most know that yeah she’s gone under the knife and she’s done it, many many times), but I kinda understand where ppl come from, the critiques, the backlash. Even I feel sad sometimes that she needs to revert to PS or botox to enhance her already so pretty face, she doesn’t need it. But what gives, I guess she has to live with it (it’s her choice) and whatever entails, and so must I, as a long time fan. She’s not exactly the most loved or liked actress so it really doesn’t bother me much anymore that she’s on the news. Everyone will have something to say about anything and everything. That’s what I do most of the time on my blog too, no difference. Anyway, this INSTYLE pictorial of LDH’s must be the most gorgeous and ethereal I’ve seen of hers. I’ve always maintained an opinion, and always do so that she looks best in bright and radiant colors (please! no more black!). The colors bring out a certain cheeriness and chic elegance in her, with an air of confidence seeping from within, though you kinda sense she’s trying to go for a icier and melancholic vibe. Plus she looks more comfortable posture and posing wise, settling into the poses more naturally than before. She mentioned practising for IRIS2 allowed her to flex and build up her muscles better, perhaps that’s why. Given that she’s never really graced a prominent magazine spread in years (they probably know she isn’t a very good model poser), I consider this her best shoot in memory. She’ll probably never reach the levels of Son Ye Jin, Shin Mina or Yoon Eun Hye, but way to go this time girl. I’ll be looking forward to more in future.